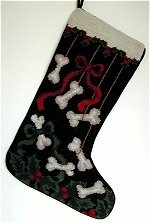 He would have dragged it around shaking it and then probably chewed holes in it. 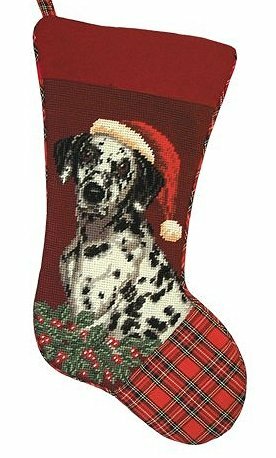 Yes he was indulged and quite feisty but in his later years he was a quite adorable and devoted companion to her so I will only hold the fond memories of him. If yours is in your good graces buy them this and fill it to the top. 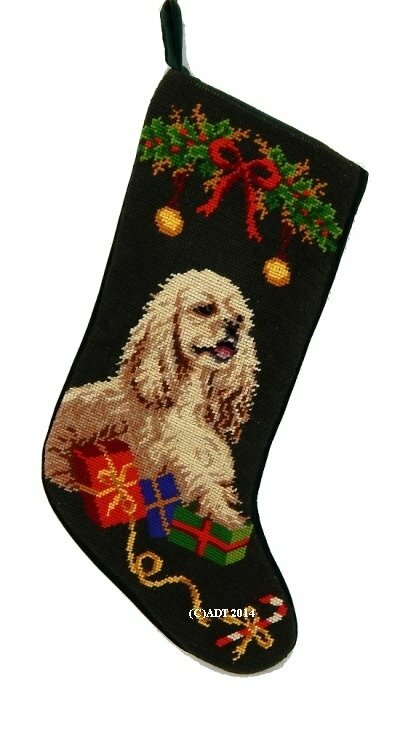 The closest I got to a Cocker was a Cockerpoo who was very bright didn't shed and a great companion. 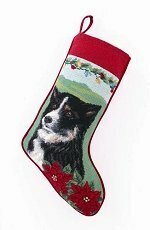 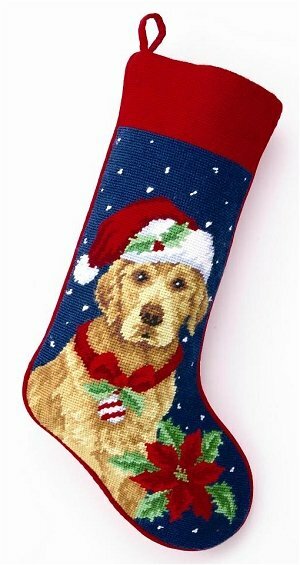 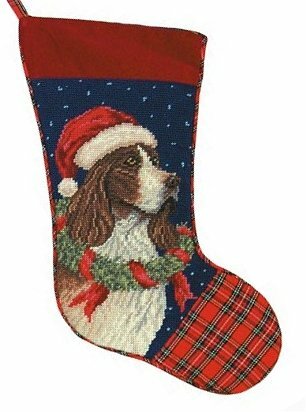 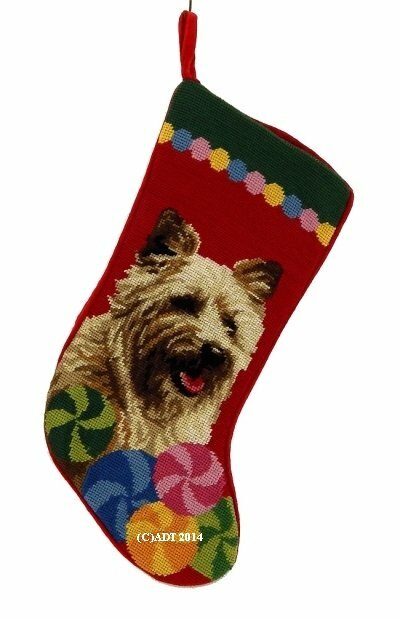 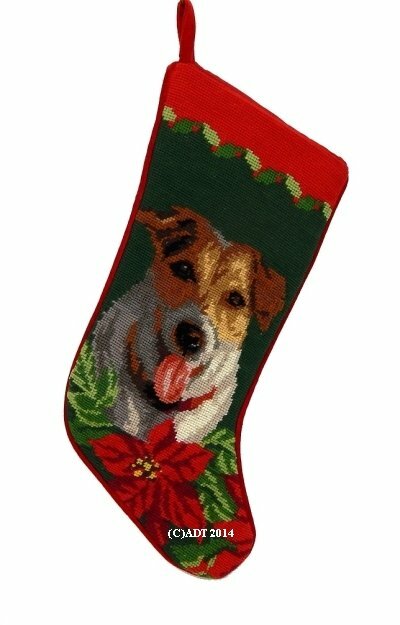 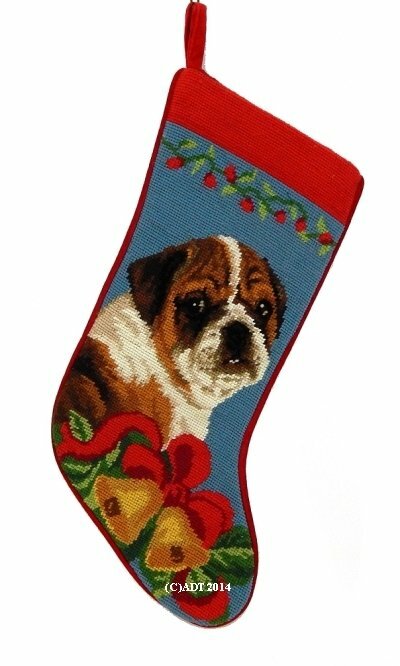 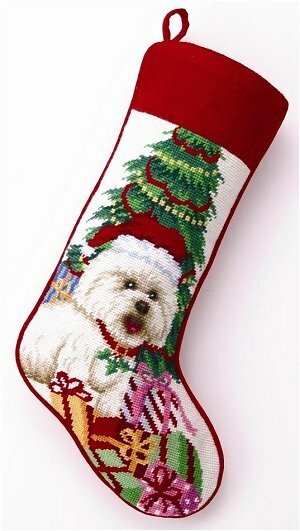 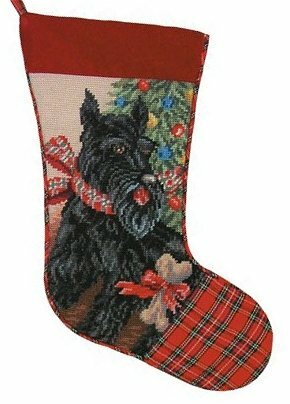 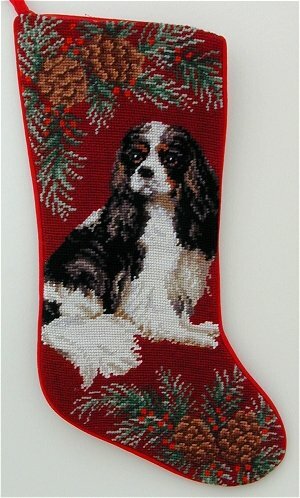 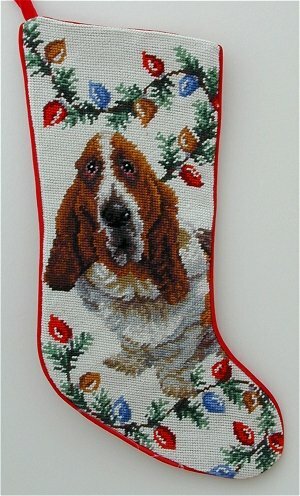 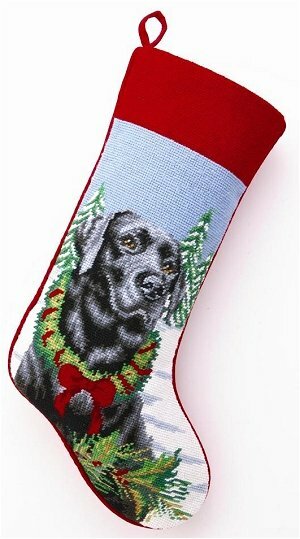 If the purebreds are as nice they deserve a stocking like this. 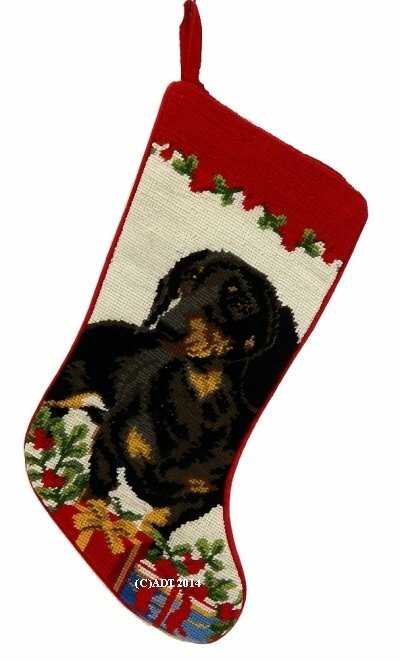 A nicely shaded Dachshund surrounded by toys. 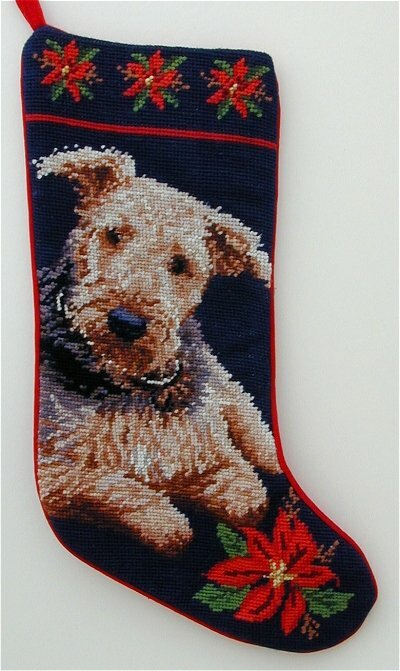 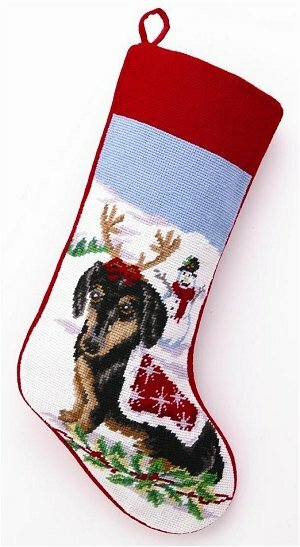 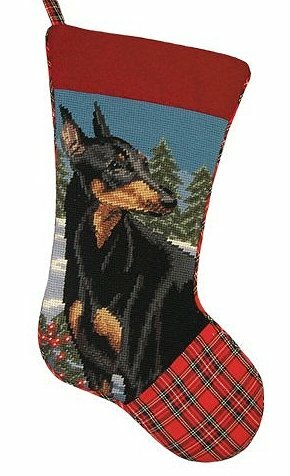 This doberman stocking has very nice shaded detail as shown in larger photo.